December Book of the Month! 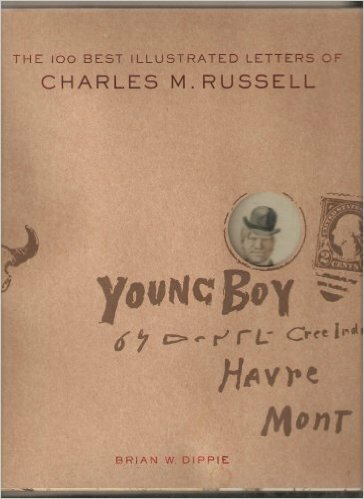 This month, enjoy a unique take on the creativity and personality of an American Old West icon in “The 100 Best Illustrated Letters of Charles M. Russell”, as compiled and edited by Russell historian Brian Dippie. 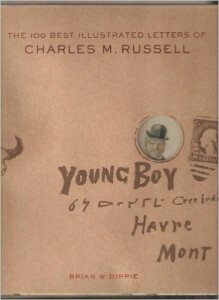 Russell is known primarily for his paintings and sculptures – but he is also celebrated for his storytelling. In this limited edition compilation, you’ll read some of his original correspondence – reproduced as it was originally drafted and often accompanied by cartoon sketches and even miniature watercolor masterpieces! Each letter is printed one per page and is followed by several pages of text explaining the context of the letter and a typed “translation”. Buy a discounted copy of “The 100 Best Illustrated Letters of Charles M. Russell” all month long at the Book Exchange, and don’t forget to log on to their Facebook page for more information and a discussion with other club members!